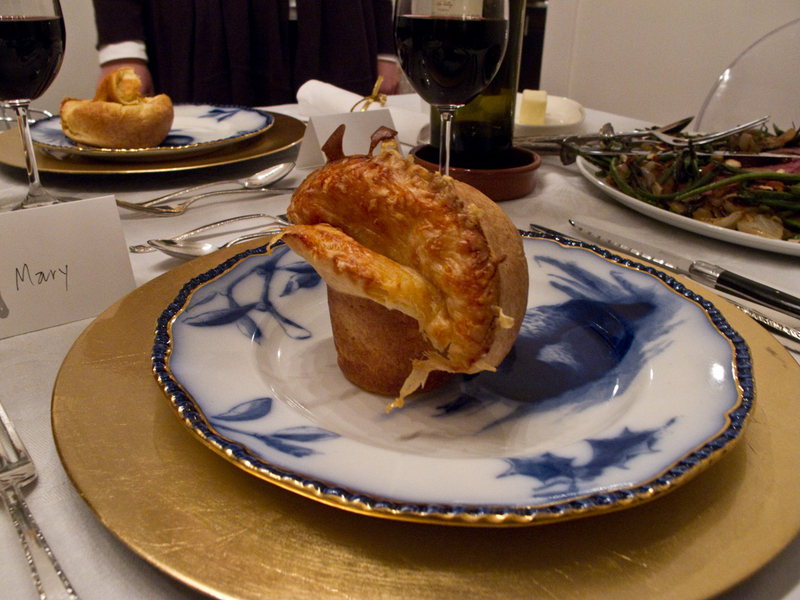 My sister Maggie and I saw these popovers on the Food Network’s The Best Thing I Ever at the same exact time (Maggie is in Denver) and she immediately emailed me about making them for Thanksgiving. These fluffy yet dense, light yet heavy rolls are absolutely heavenly. They are ideal for a kitchen with two ovens though – considering they take 50 minutes in an unopened oven. I had eaten half the green beans by the time we were able to sit down for dinner. Other than this small hurdle – they are surely worth trying this holiday season. I’m certain they will impress any guest. In a saucepan, warm the milk over gentle heat. In a large bowl whisk the eggs until frothy. Slowly whisk in the milk (so as not to cook the eggs.) Measure the flour and salt into a sieve and sift onto the egg mixture. Combine until mostly smooth. Remove the popover pan from the oven. While the batter is still slightly warm or at room temperature, fill each popover cup three-quarters full. 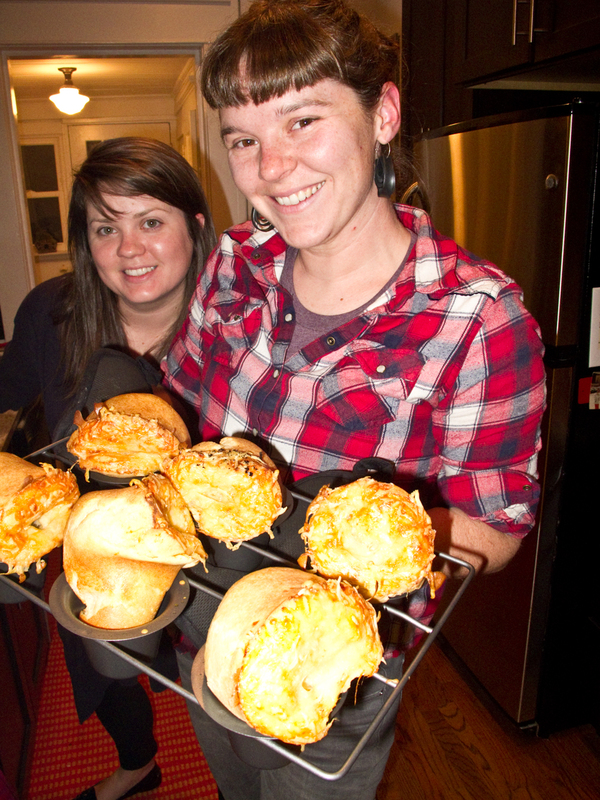 Top each popover with about 2-1/2 Tbs. of the grated cheese. Return the pan to the oven and bake for approximately 50 minutes, rotating the pan half a turn after 15 minutes of baking. Remove the pan from the oven, remove the popovers from the pan, and serve immediately. Makes 12 popovers. We did only make half the recipe. It worked perfectly.